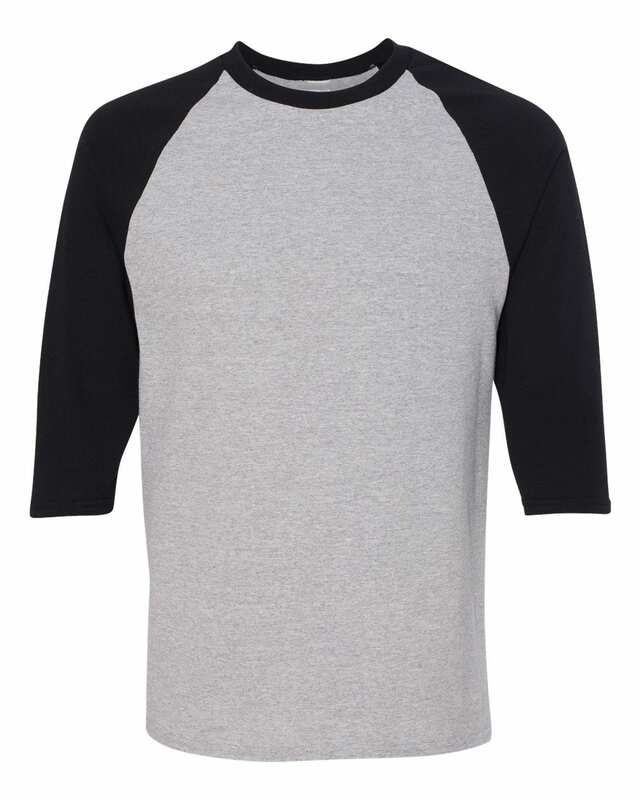 Stand out on the field in this 100% cotton classic baseball t-shirt featuring ¾ length contrasting sleeves and neckline. Perfect for sports teams and clubs, this customer favourite adult baseball custom printed t-shirt features ¾ length contrasting sleeves. Made from 100% jersey ring spun cotton, this custom baseball t-shirt is durable enough to get you through the season. The double needle sleeves and bottom hem creates the additional hold when playing active sports. 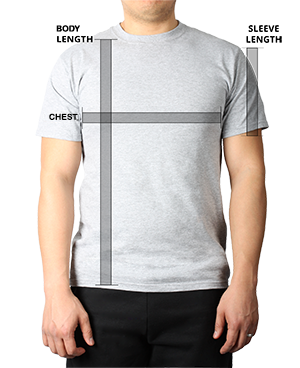 This custom t-shirt is offered in colour-block combinations for an added stylish look. Measure from center back neck to outer edge of shoulder seam, then along outer edge to sleeve end. in 5 business days! Place your order today and it will ship from our Oakville, ON facility by May 2.